Over the past year we've learned a lot about taking care of colds and viruses with our sweet babe. I think it's well-documented here how our household has had its fair share of sickness since Rowan started daycare. On more than one occasion I even considered flying Grandma in for reinforcement. 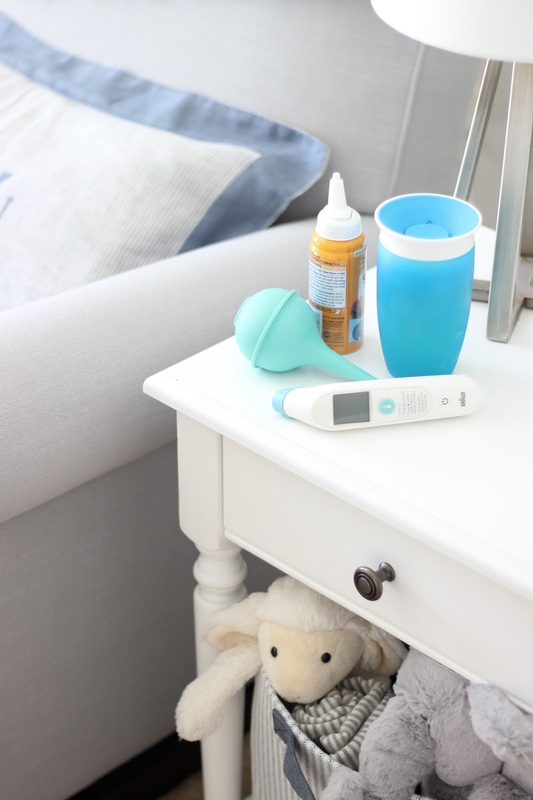 My fellow mom friends have asked for tips on deal with symptoms and by far my biggest suggestion has been to keep a a nasal aspirator, thermometer, and a sippy cup with water and/or Pedialyte on the side table when your baby is sick. It makes it so much easier to console them if you need to go in their room in the middle of the night! When Rowan was 11 months old, he came down with RSV and it was easily one of the hardest weeks seeing him so sick. He coughed for hours each night and fought 103-104 degree fevers until finally we realized this was not your run of the mill cold. Thankfully Rowan's case was on the milder side but we learned its actually the top cause of hospitalizations for babies, typically between October and March. Premature babies are especially at risk but its highly contagious so it's not uncommon for it to spread through daycare, schools, and mother's morning out programs before parents realize what they are dealing with. We had a lot of sleepless nights while Rowan fought off those germs, holding him upright to help with the cough, keeping him hydrated, and the glamorous parental task of suctioning snot from his nose. 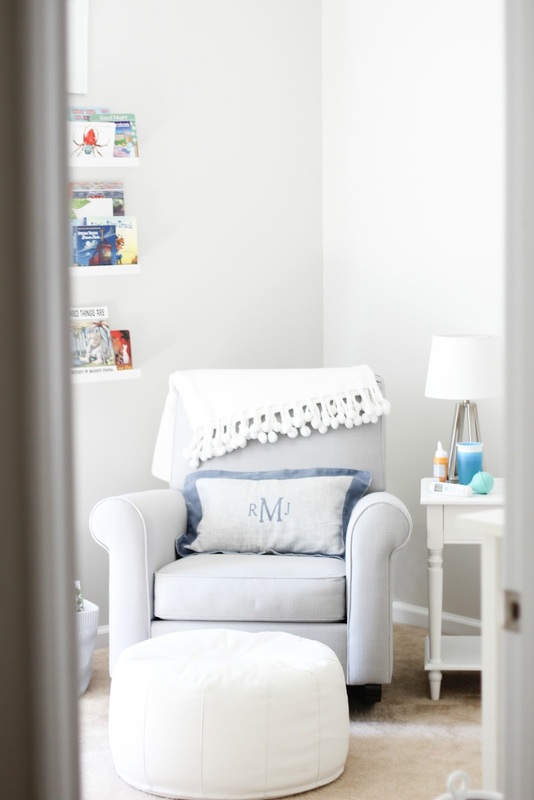 I wouldn't say dealing with colds has gotten easier because seeing your baby sick always hurts your mama heart, but I think we've learned a few tricks to help ease his symptoms while he fights off the bad germs. Wash everything. Washing hands is so important, especially for parents of sick babes because its so easy for the whole house to get sick at once and that is not fun. Unless your doctor advises otherwise, bathe every night during the week to get those school germs off of them before bed. Also wash any clothes, toys, or blankets that come home from school immediately. Know what dosage of fever reducer your babe should get based on their weight. This is so important, I always make sure R's Pediatrician writes his dosage down at each well check! Keep a nasal aspirator on hand. I still can't believe I've physically sucked snot out of my kid's nose with my mouth, but when our kids are sick we do whatever it takes. I find the nasal aspirator we got from the hospital works better than the Nose Frida with a squirmy kid. Keep your baby home. RSV is very contagious (nearly every baby will contract it by age 2! Scary!) so keep them out of school and away from other children until the symptoms clear. Have a dependable thermometer. I love our forehead thermometer for Rowan because its so, so easy, but I also keep a basic thermometer on hand for axillary (under arm) temps if the forehead reading worries me. Lots of fluids. I cannot emphasize fluids enough! We saw so much improvement when we got Rowan to drink water and now we buy Pedialyte in bulk when he is sick. Ditch the sleep rules, even if it means making new habits. This may be obvious but ditch alllll of the sleep rules when your baby is sick. Especially if they are fighting off a fever. We had to keep a steady rotation of fever reducers to keep Rowan's temp down when he had RSV and he would chug an entire sippy cup in between coughing. 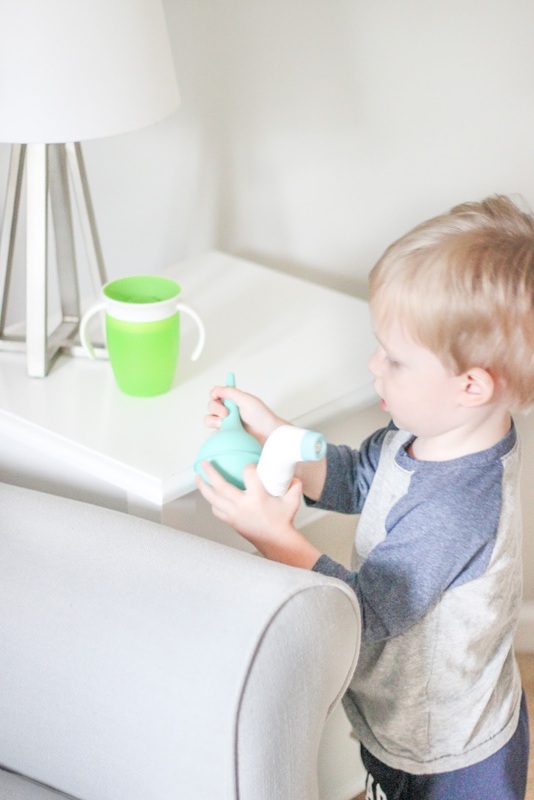 Personally we never thought a humidifier helped, and our Pediatrician agreed, but I know moms who swear by them so its good to have one on hand just in case! Since we've personally dealt with RSV I think its so important during National RSV Awareness Month for other parents to be aware of the signs and symptoms. Hopefully you can help prevent it from spreading! And before you panic about RSV, know that it's entirely possible for your babe to contract RSV like Rowan did but not become seriously ill. It could just look similar to a cold with a bad cough. Being aware of the more serious symptoms is a game changer though so watch for any wheezing, labored breathing, blue around the mouth or fingernails, and a fever that won't go down with medicine. 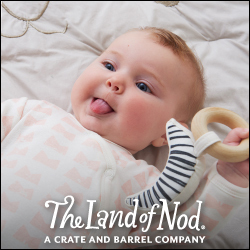 Have any of you experienced RSV with your sweet babe? Any other tips you would add to help other mamas? 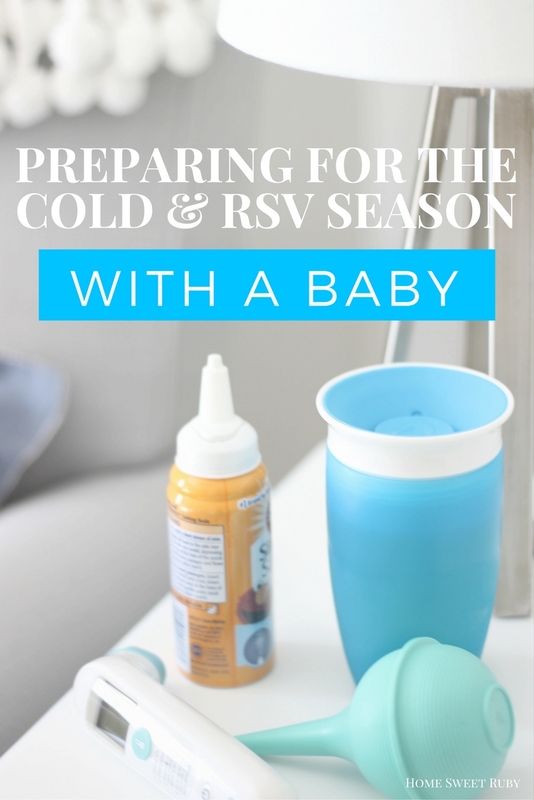 To learn more about RSV disease visit the RSV Protection website and see more prevention measures to keep your babies safe this cold season! All great tips!! Matthew had RSV at 14 months last winter and it was awful, I've never seen him so pitiful and having to force a nebulizer on him was the worse. My nephew ended up in the peds ICU when he had RSV as an infant so I'm crazy about germs and washing everything now. Great post! But a horrifying reminder that sick season is coming back around. Womp womp. I'm hoping L has built up some immunity this year! I've been trying to take his temp when he's not sick, so he'll get used to the forehead thermometer. He would never hold still and would get mad last winter when I'd try to use it! Ugh.